She used to live at the back of a small cemetery in Hampstead. How to photograph an actress? Especially a great one who can play any part? 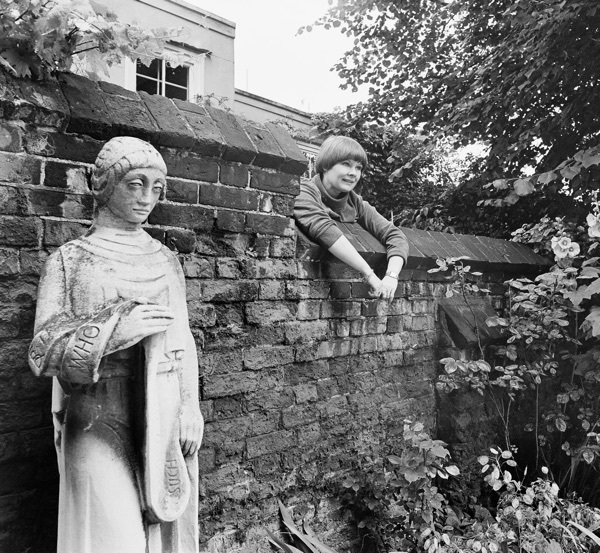 I saw that she had the same hair style as that statue and the brick wall linked them soberly. An uncanny resemblance and grace.